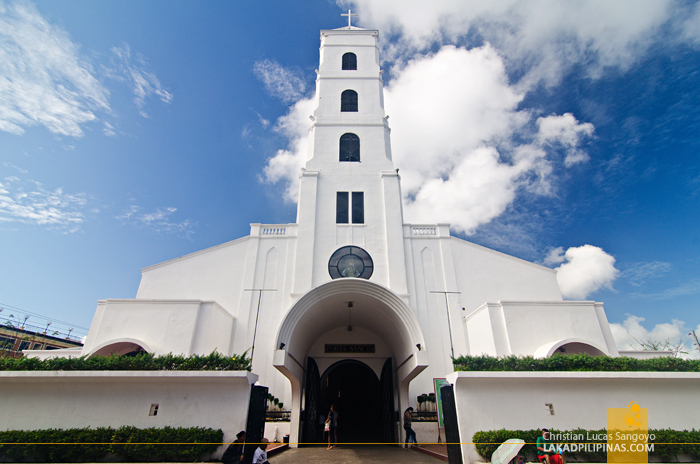 There it is, coming directly from our lodging, Lorenzo’s Way Bed & Breakfast, I pointed to my companions as the church’s rectangular five-story belfry poked through the busy roofline of downtown Tacloban City. I was a bit puzzled, the bell tower stood white through the morning’s blue sky. It was not the tower I remembered seeing several years back. Four years ago, I visited Tacloban City. A chance visit that resulted from a missed flight from Cebu to Manila to Catarman, which eventually led to a fast-craft ride from Cebu to Ormoc, then an epic bus ride all the way to Allen. In between that arduous journey, I found myself in Tacloban City for two days. I distinctly remember entering the Sto. Niño Church back then and leaving somewhat unimpressed. 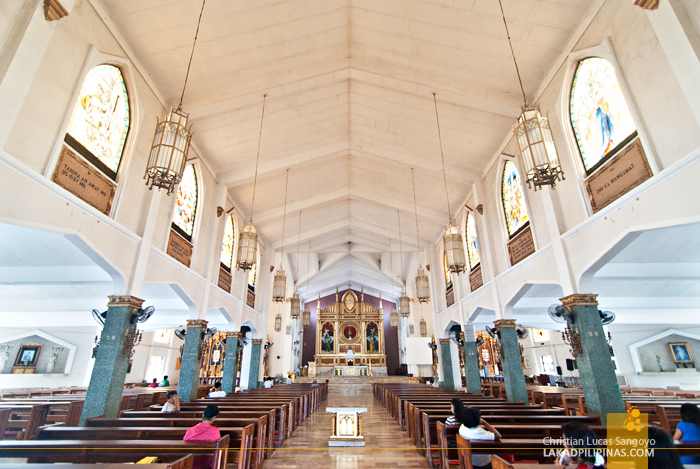 I knew it had stood on that same ground for more than a century and I knew that the ivory Sto Niño enshrined on its retablo is said to be miraculous, but the symmetrically structure, painted in orange, simply didn’t stir my architectural appetite. Four years later, standing on that exact same spot, my eyes gazed upon the exact same church and my eyes couldn’t believe what it was seeing. 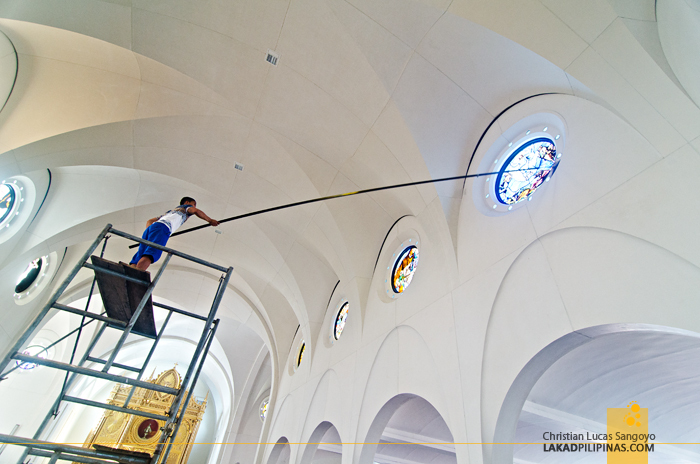 Tacloban Church has transformed beyond recognition. It still retained its basic shape, but the choice to repaint it in pure white was astounding. It didn’t look like the same church I visited several years back at all. 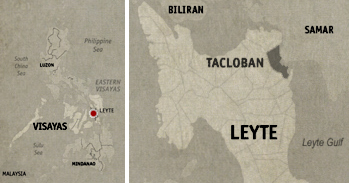 This transformation was brought about by Typhoon Yolanda which struck the city November of 2013. 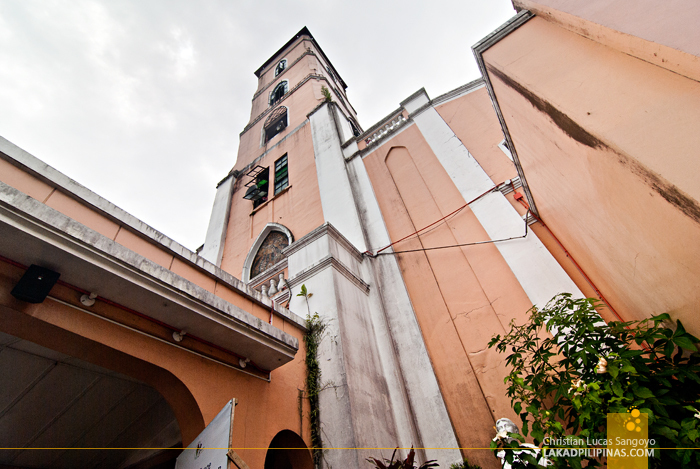 The church, being quite near the waters of San Pedro Bay, was severely affected by the storm surge brought about by the typhoon. It was said that Taclobanons used the church as a shelter during that time and I can’t even imagine what happened inside the church then. The renovation which transformed the Sto. 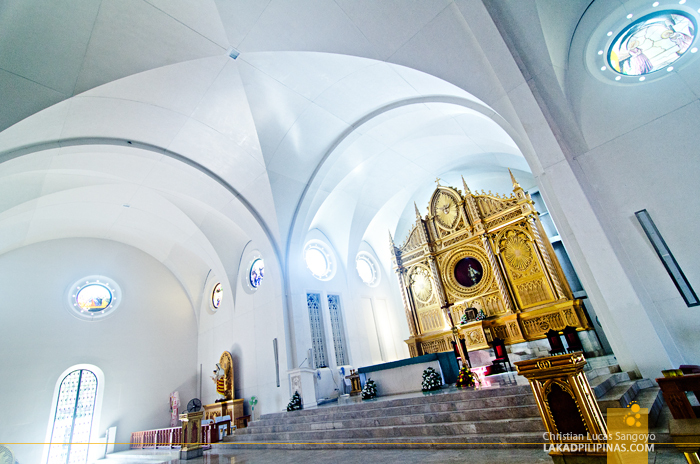 Niño Church from a forgettable building into a marvel of modern minimalism was spearheaded by Manila-based architect Dominic Garcia to a cost of 64 million pesos. 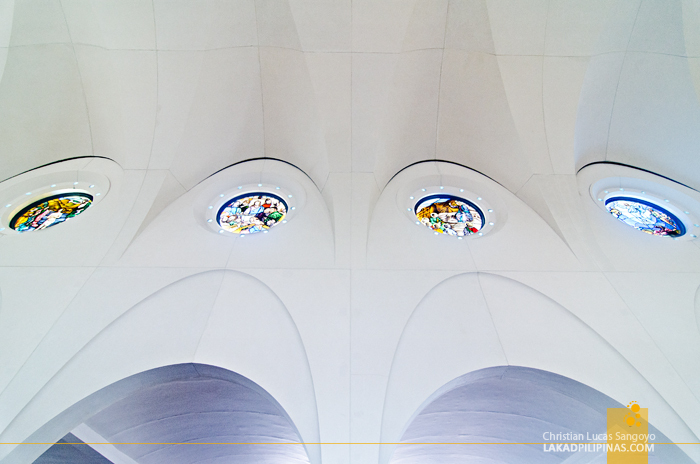 The most notable of the changes are the pointed arches of the church windows and openings which have been replaced by circular and curved ones. 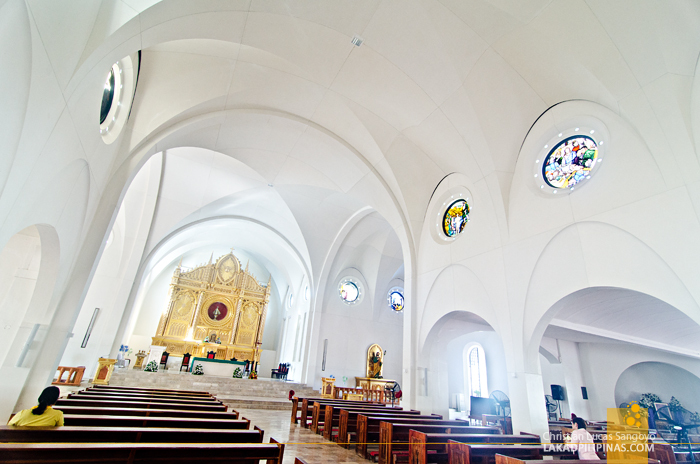 The interior is also much improved, echoing the stark whiteness of its exterior with its graceful rib-vaulted ceiling. I also noticed that the original golden retablo has been retained, the home to Señor Sto. Niño, a revered figure dubbed by locals as El Kapitan; a moniker it got from when it was lost to sea during its transport to Manila before being recovered at Siminara Island by fisherfolks and the event now commemorated by the locals as the Sto. Niño de Leyte Festival throughout the month of June every year. Indeed, even after the massive devastation Typhoon Yolanda inflicted upon this city, the resilience of its people to spring back, move forward and be better than before is very evident. The Sto. 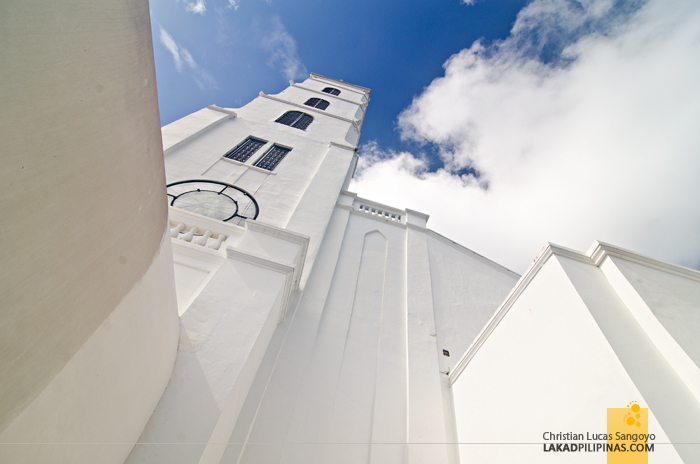 Niño Church is a shining proof of that resolve. Hi Hoa, Yes, Tacloban's Sto. Nino Church indeed looks quite beautiful in a minimalistic kind of way.